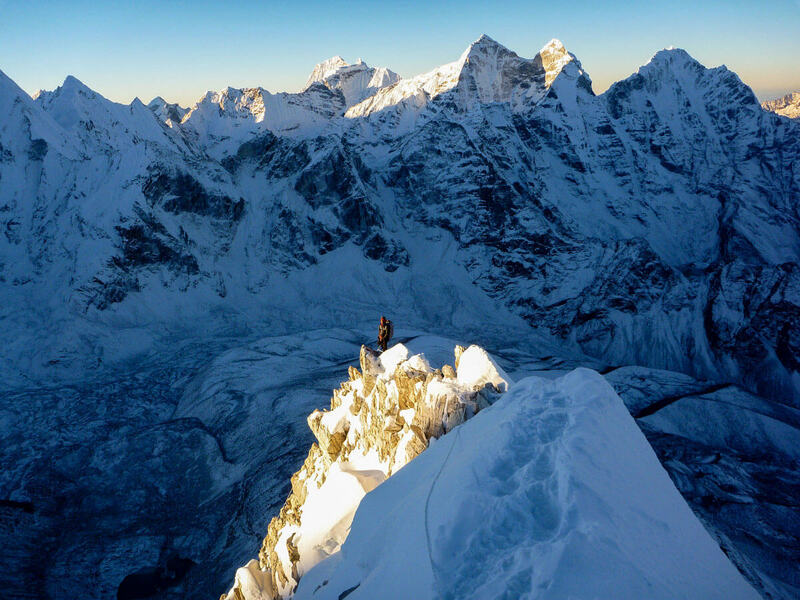 Towering over Tengboche monastery and the Sherpa village of Pangboche at a height of 6856m, Ama Dablam is one of the most iconic mountains in Nepal. 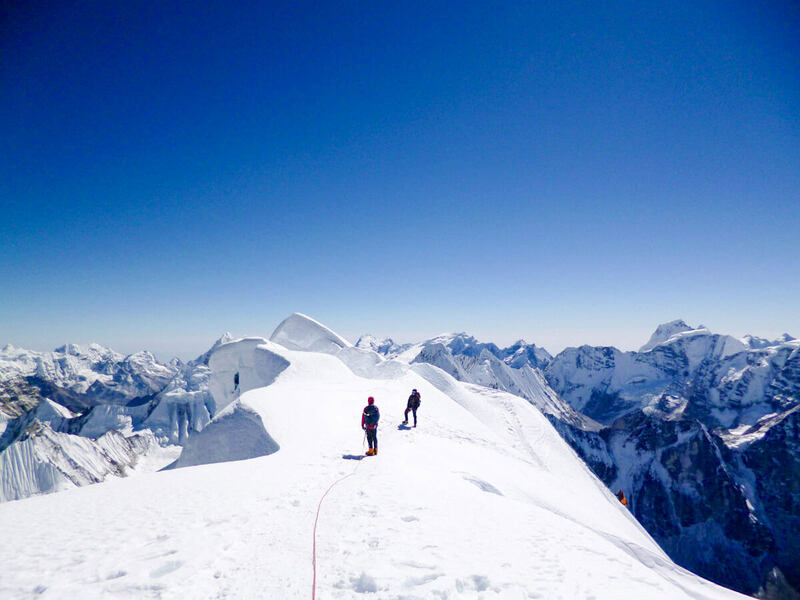 The much-coveted South West ridge is one of the more popular routes in the Himalayas today, with climbers often using it as preparation for an expedition to one of the greater 8000m peaks (of course the mountain is by its own right a fantastic objective!). 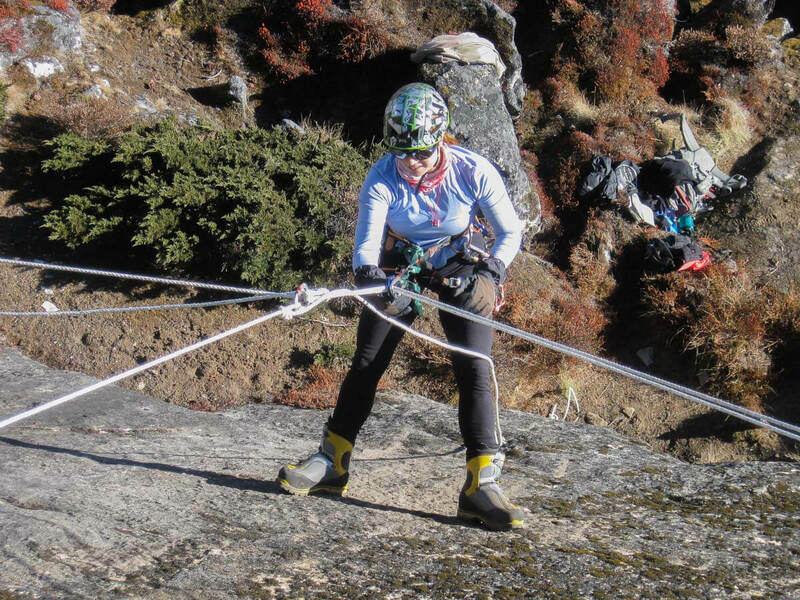 Comprising of steep ice and rock with exposed ridges, the technical nature of the route is somewhat lessened by the presence of fixed lines along the majority of the route. Our Route: We start our acclimatization when we land in Lukla, the thriving Sherpa village known as the ‘Gateway to the Khumbu’. 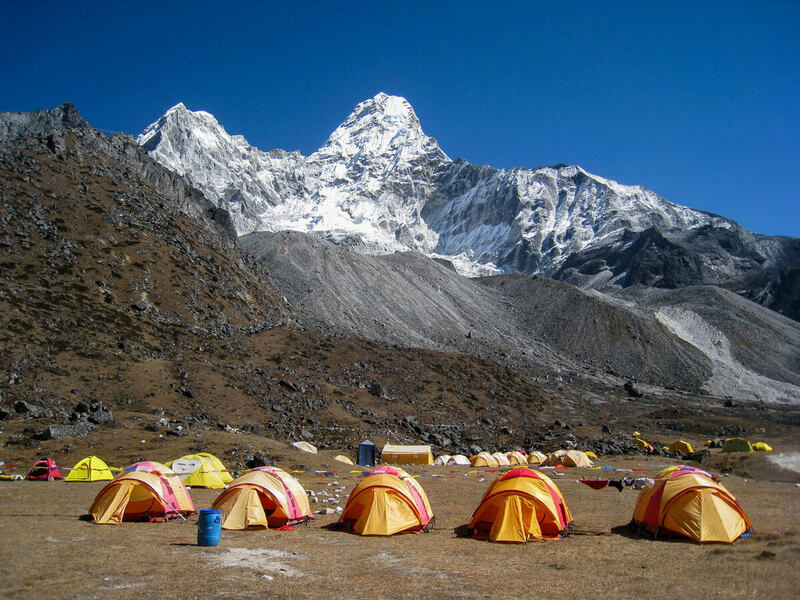 We trek through numerous Sherpa villages before arriving in the grassy surrounds of Ama Dablam Base Camp, which is undoubtedly one of the more scenic base camps in the Himalayas. 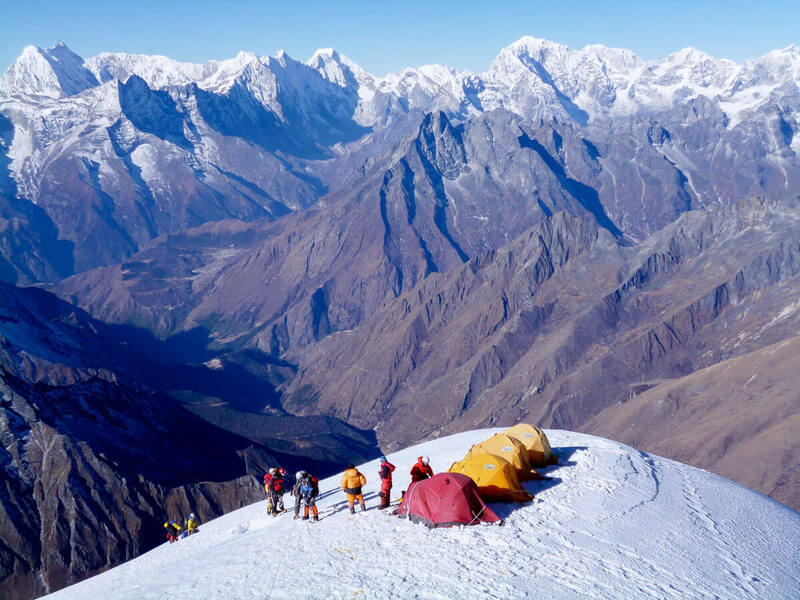 Above base camp we place three camps on the mountain, each precariously positioned on the ridge, which means you’ll need to have a good head for heights. 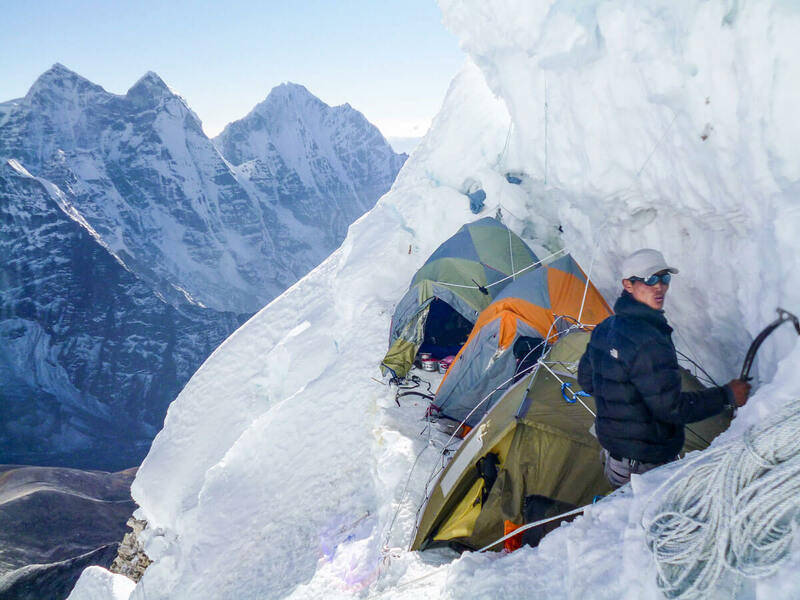 Our summit push will begin early in the morning from Camp 3 and hopefully you’ll top out in great weather, as the summit affords spectacular views of numerous Himalayan giants, including Mount Everest, Lhotse and Nuptse. 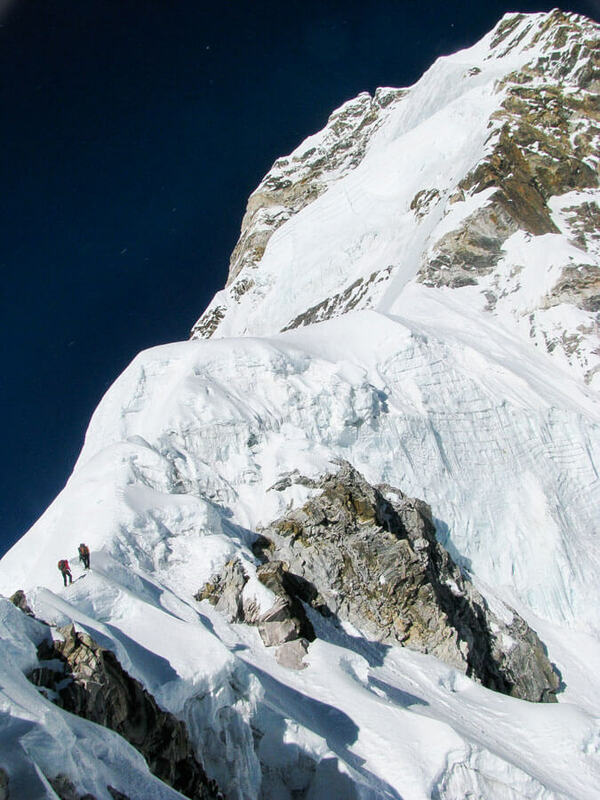 This month-long expedition is suited to strong rock climbers and technically-orientated mountaineers who have previous experience in the Himalayas or other lower technical peaks in Europe, North and South America or New Zealand. 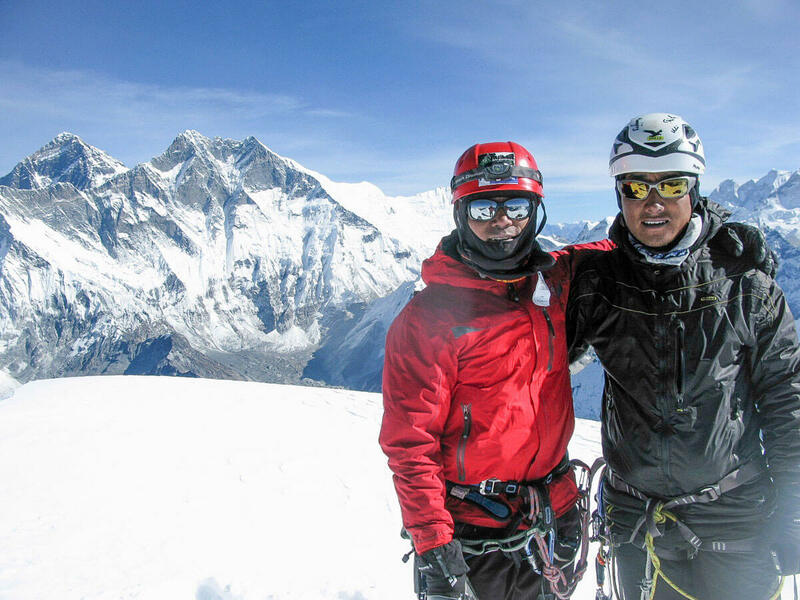 Himalayan Ascent is owned and managed by local Nepalese guides, Sumit Joshi and Lakpa Sherpa. 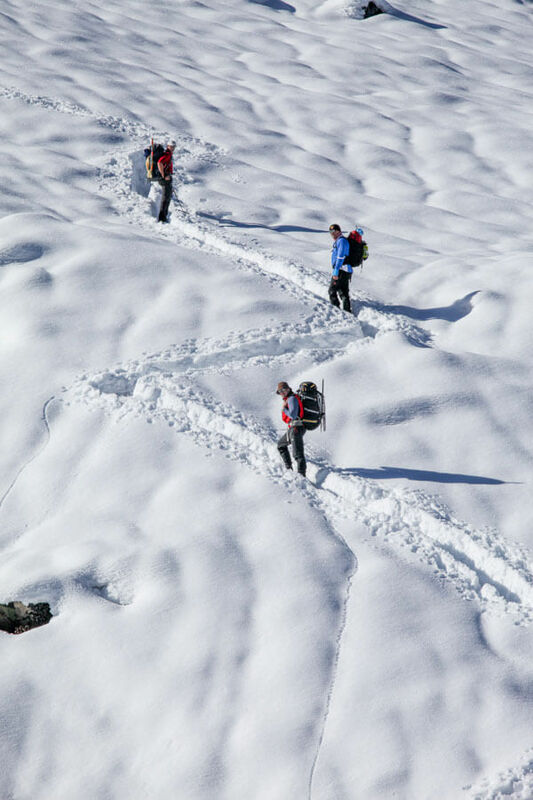 With more than 40 years of guiding experience between the pair across the Himalayas in Nepal, Tibet, India, Pakistan and Bhutan, Himalayan Ascent know the Himalayas, its challenges, people and mountains. 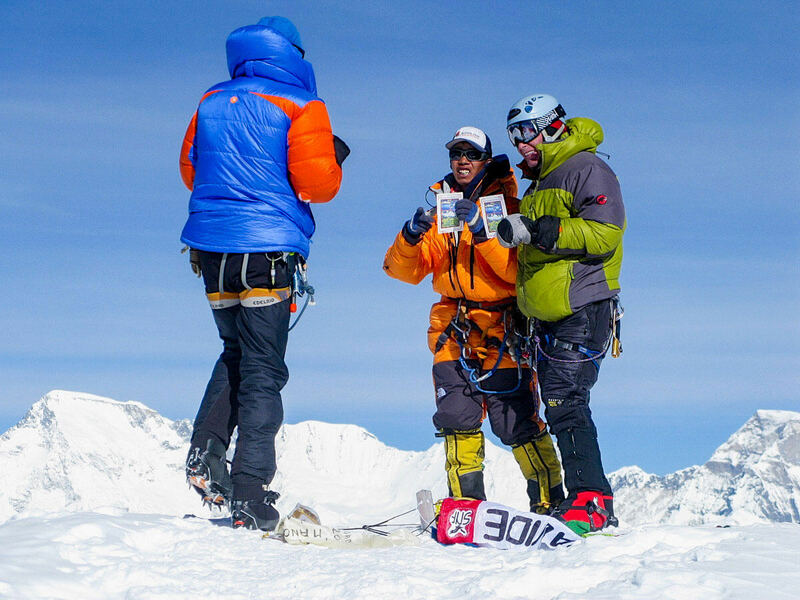 As avid rock climbers with a passion for the mountains, Sumit and Lakpa have led numerous expeditions to Everest, K2, Broad Peak, Cho Oyu, Manaslu and Ama Dablam. 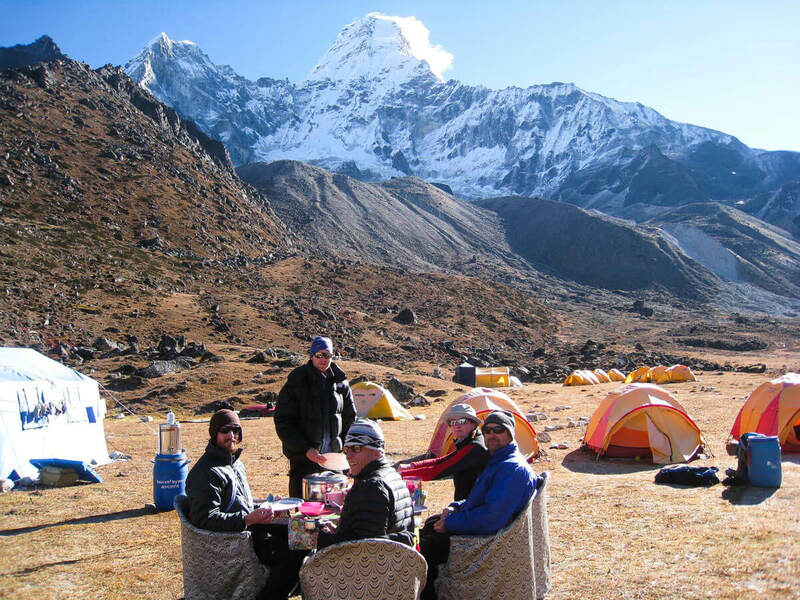 Raised in the outdoor wonderland of the Solukhumbu, the Himalayan Ascent difference is a guiding and support team of personnel who are intimately familiar with the Himalayas, who actively enjoy the outdoors and love sharing the experience with others. 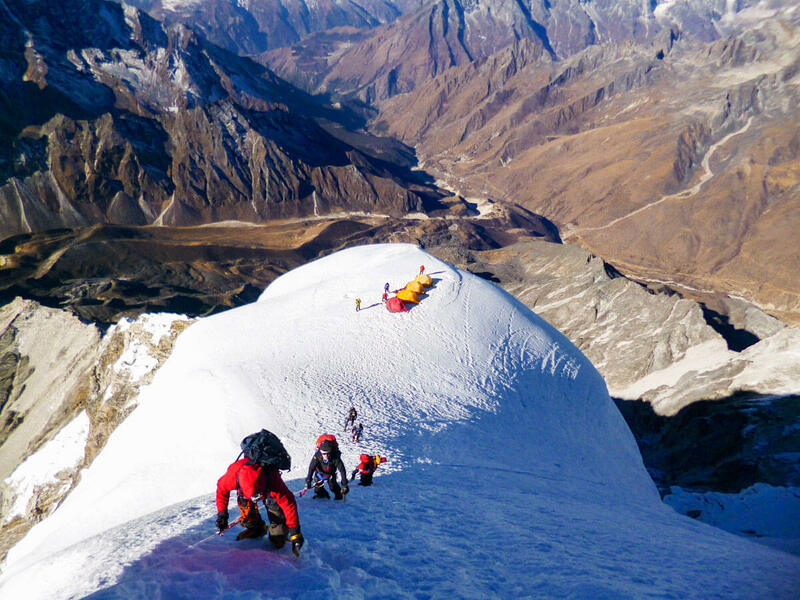 With a growing reputation for providing affordable, international standard complete guiding service for challenging treks in remote areas or demanding 8000m expeditions, Himalayan Ascent has the experience to deliver the type of service that’s desired by international outdoor adventurers. 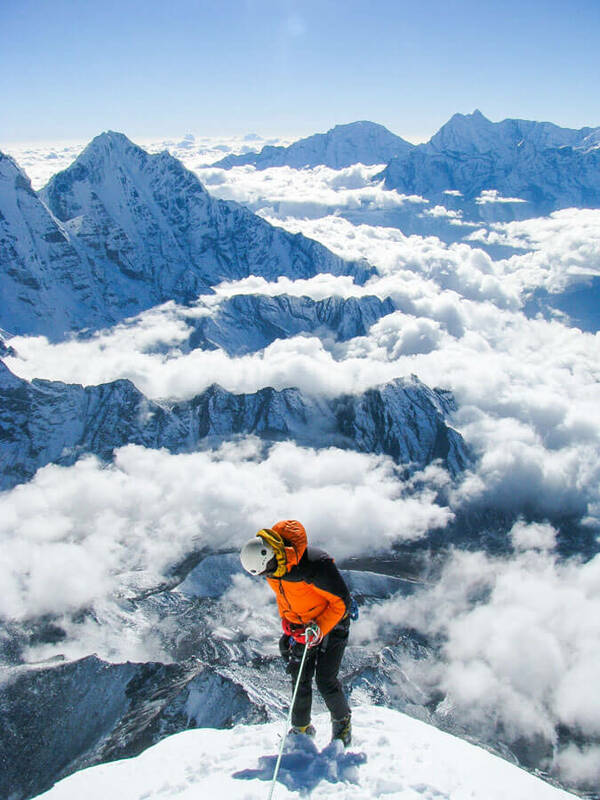 Why HIMALAYAN ASCENT to Ama Dablam Expedition 2019/2020? 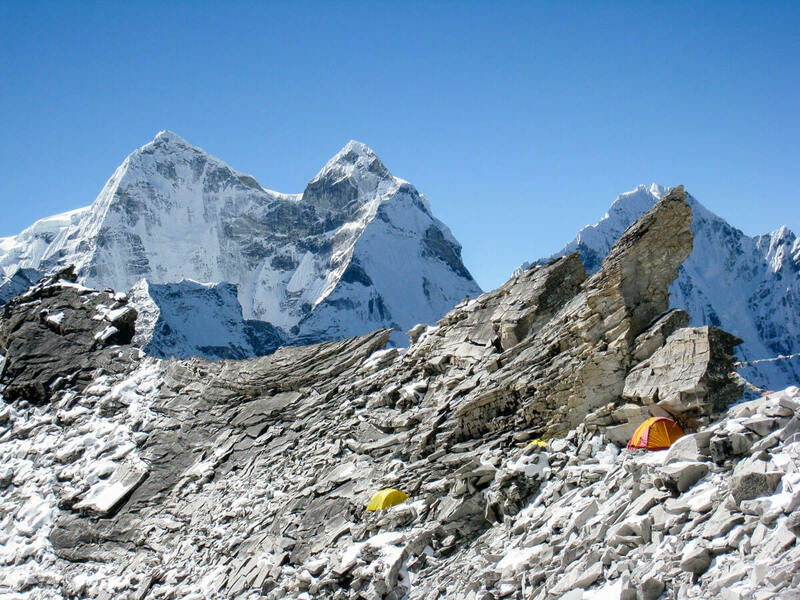 Himalayan Ascent runs small sized expeditions on Ama Dablam. 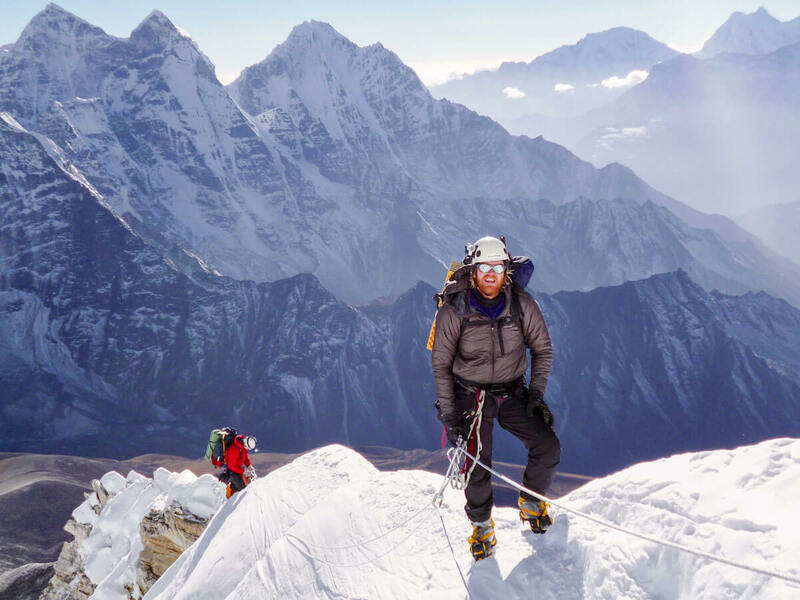 You’ll get to know your Sherpa guides and team mates personally. Building a good rapport with your team is critical for summit success. 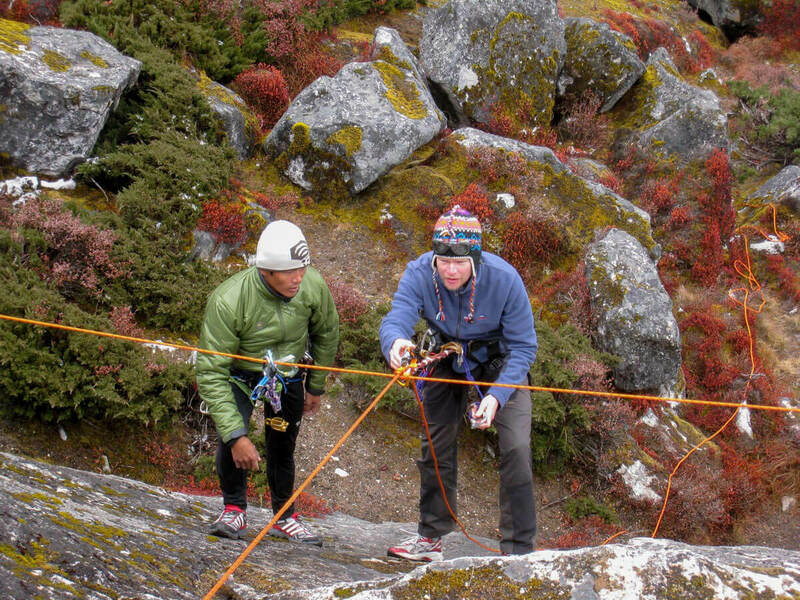 Our Sherpa guides are formally trained through the Khumbhu Climbing School or the Nepal Mountaineering Association, and some are internationally accredited. We have a reputation for having the best managed and most comfortable base camp, and a camp cook known for making the best pizzas. Want to speak to our past clients? 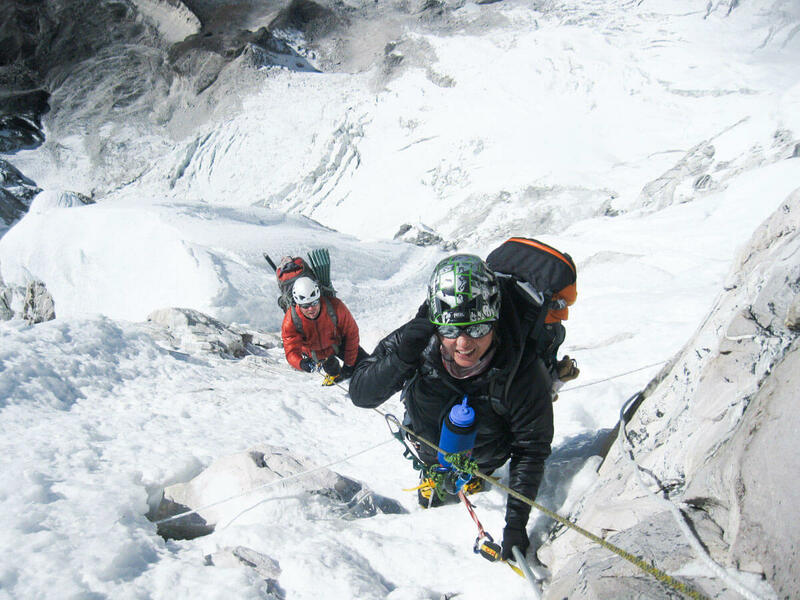 Contact us for the contact details of our previous Ama Dablam clients. This is a day to check your gear with your guides. If needed, there’s time to buy extra gear from local suppliers in town. Once the gear check is complete, you can sight see for the rest of the day. Don’t miss some of Kathmandu’s world heritage sites (e.g. Boudhnath, Kathmandu and Patan Durbar Square). Kathmandu is a hectic city full of culture and historic sites. Our trip begins with an early morning 30 min flight to Lukla, that flies over endless rolling hills covered with green terraces. Once in vukla, we have a short break to organise porters and gear before starting our day’s walk, descending and ascending to Monjo. We pass green villages and colourful maniwalls as we follow the Dudh kusi river upstream. This region is Buddhist so remember to walk clockwise or to the right of maniwalls and prayer flag poles. 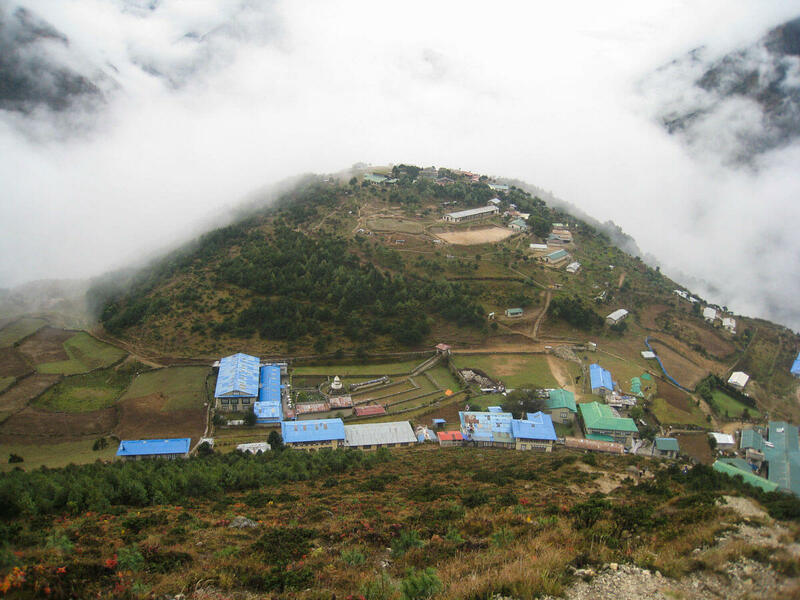 Monjo is a Sherpa village situated near the base of the hill up to Namche. Before leaving Monjo, we’ll drop into the Khumbu National Park Information Centre where you can trace our trail from a 3D model of the region. The route crosses several steel suspension bridges covered with katas, white well-wishing scarves, and prayer flags. From the last bridge, it’s a 2 hr hike up to Namche. On a clear day, you can catch your first view of Everest from a lookout about mid-way up the hill. Once in Namche, you have the afternoon to rest and to do last minute gear shopping. We spend an extra day in Namche before trekking higher to allow our bodies to adjust to the lower levels of oxgyen in the air. 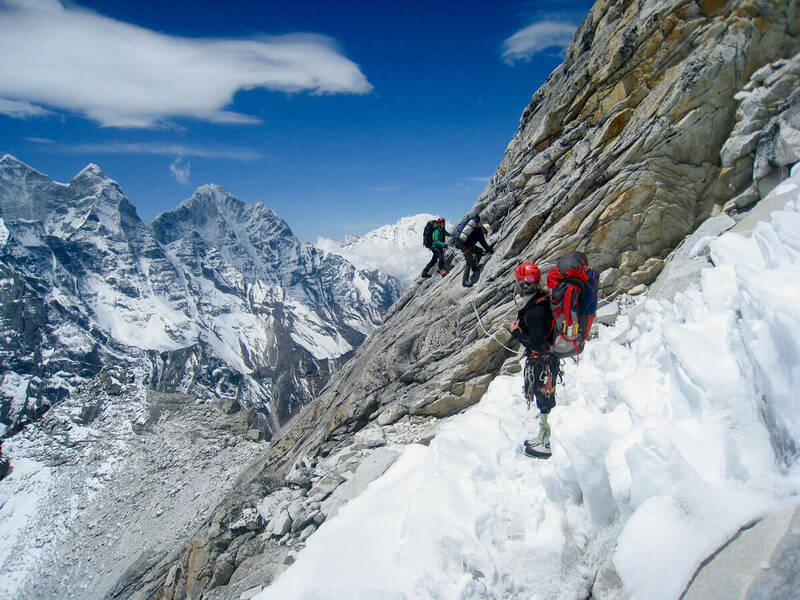 In the morning, we will walk up to the Everest View Hotel to enjoy a panoramic view of your objective, Ama dablam alongside Everest and Thamserku. It’s just a taster for the spectacular scenery to come! From here, you can explore the villages of Khunde and Khumjung where Sir Edmund Hillary opened a hospital and school, respectively. Or the afternoon is free for wandering around Namche, emailing friends/family or relaxing over coffee and cakes in the bakery. 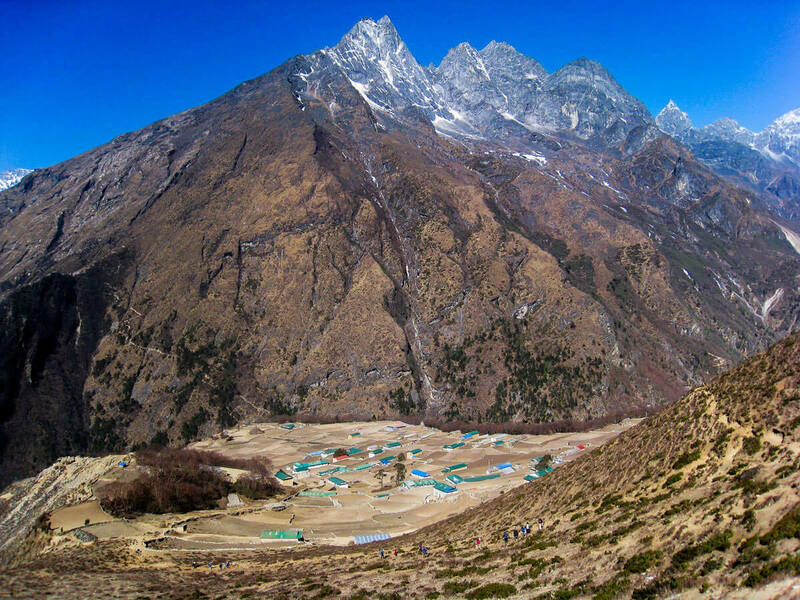 The trail behind Namche is a gentle track that traverses high above the Imja river with overlooking views of Thamserku and Ama dablam. 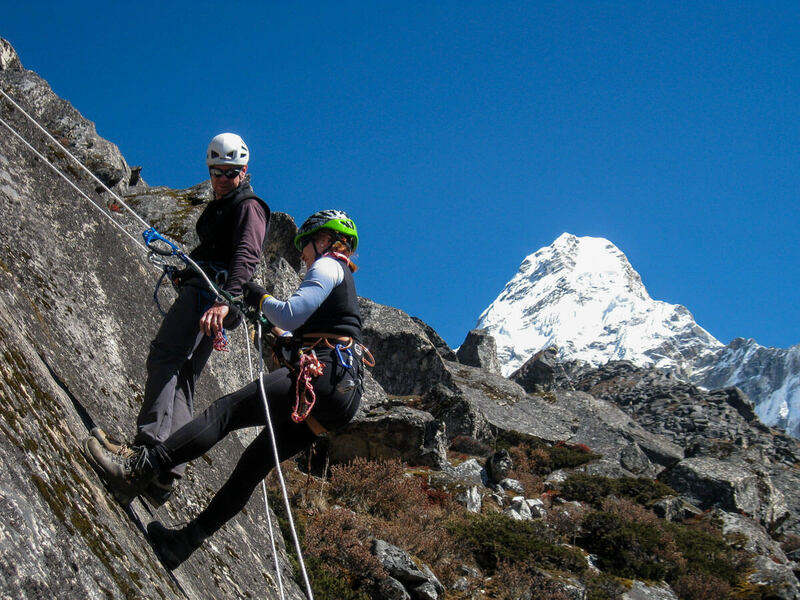 We will pause at Kyangjuma for a morning tea break and to admire stunning views of Ama dablam. From here it’s a descent to the valley floor to cross the Imja river and then uphill to Tengboche. The Tengboche monastery is the largest monastery in the Khumbu, which allows public viewings of its prayer sessions. It’s a short 30 min descent from Tengboche to Deboche, our home for the night. In the morning we head to Pangboche, take a short break, cross the Imja river and then walk up the ridge opposite the village. It’s a gentle ascent to this meadow base camp that sits at the foot of the mountain. 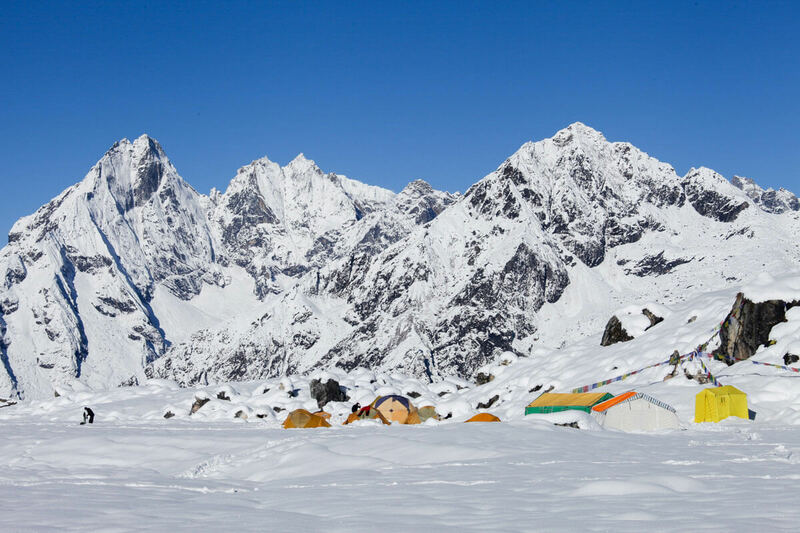 With close up views of this Himalayan mastiff, it’s one of the best camp sites in the Khumbu. Base camp consists of a dining tent, kitchen tent, shower tent and individual comfortable stand up tents for clients. You’ll get a good sleep on your 8 inch sleeping mattress, critical for good rests after acclimatisation rounds on the mountain before the summit push. We take an easy day to give your body extra time to slowly acclimatise. You can enjoy the day by exploring base camp grounds, taking short walks or sleeping and enjoying your base camp service. Eating good healthy food is critical for success so eat well. 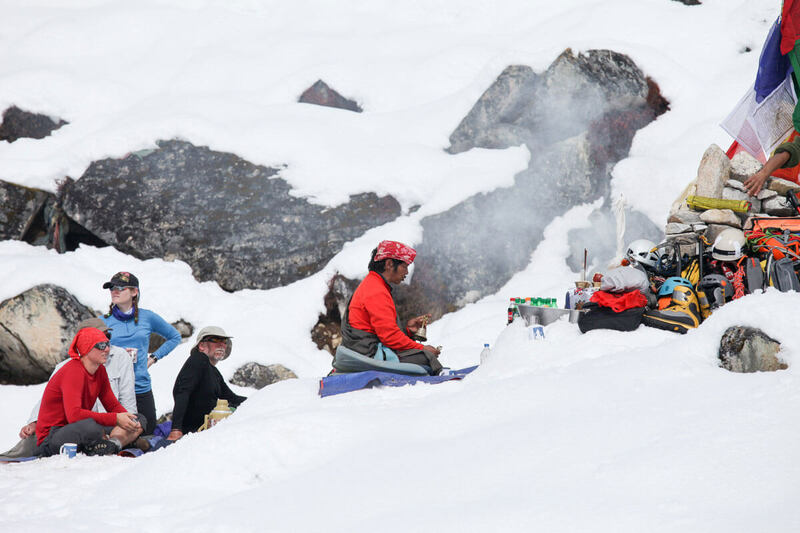 During one of the rest days before beginning your acclimatisation rounds, we’ll conduct a special puja (Buddhist ceremony) with the local lama to request the mountain spirits for safe passage. 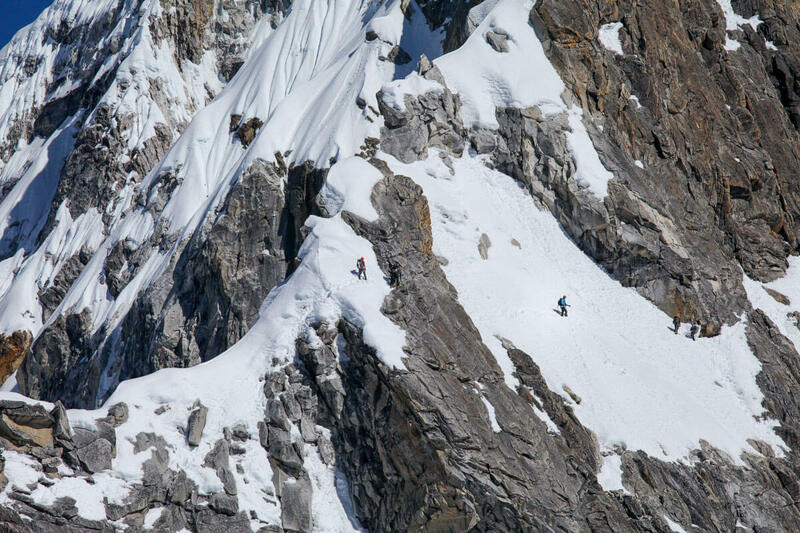 This is a highlight for many climbers. We begin the day by first checking gear before heading out for a practise session. On a set up of fixed lines, we’ll practice climbing up and traversing on fixed lines, and abseiling over knots. 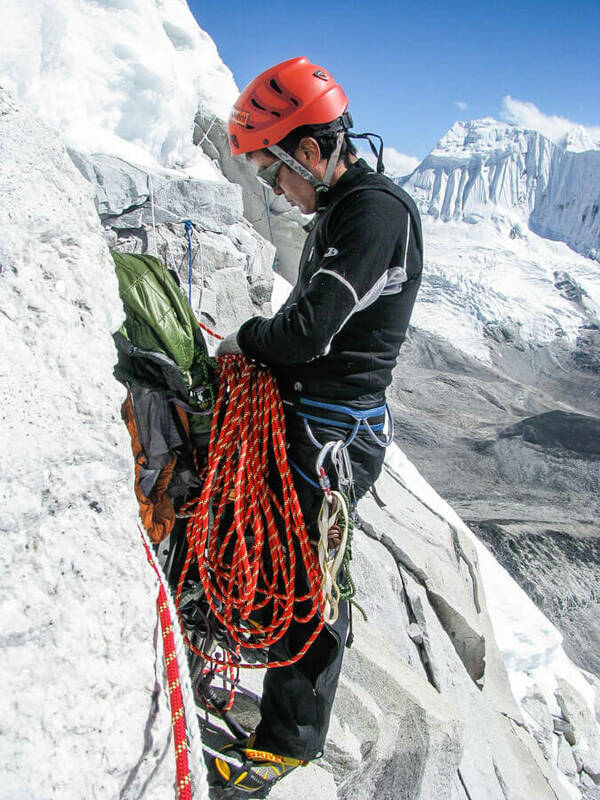 You should be confident using your gear whilst fully kitted up (gloves, climbing clothes). Please feel free to ask your guides if you have questions about safety and explanations about the route. The first round of acclimatisation trips on the mountain starts with a hike up to 5800m, at the foot of the SW ridge route. 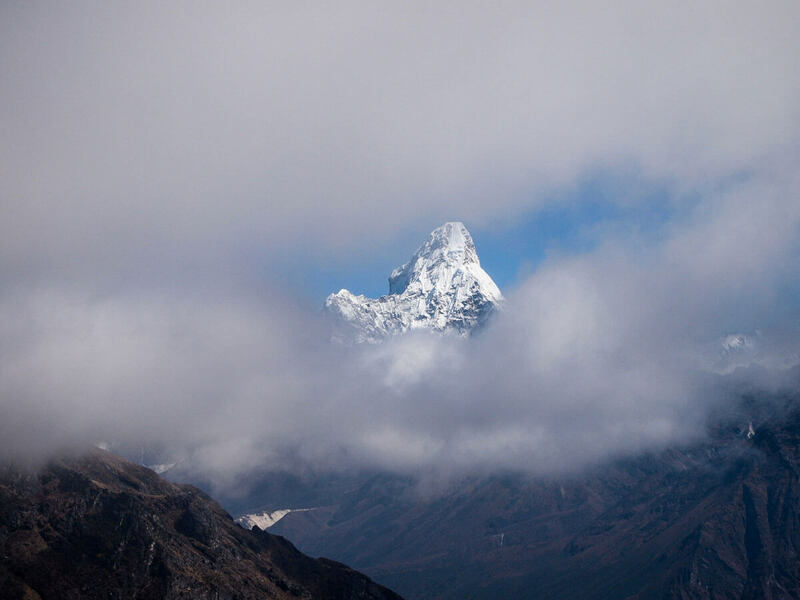 We walk eastwards on a ridge around the south end of the Mingbo glacier that stretches off Ama Dablam. From the saddle, we can see Mingbo La pass further East that gives passage to the Hunku valley. We’ll hike up through a boulder field, cross a slab area and up a gully to the ridge. The SW route can be clearly seen from this advantage point to give you a better idea of the challenges and fun ahead! We return via the same route to good food and rest. Over the next 2 days we’ll be climbing up to Camp 2 and sleeping at Camp 1, so this is the day to pack and prepare. You’ll be carrying your sleeping bag, mat and personal items. 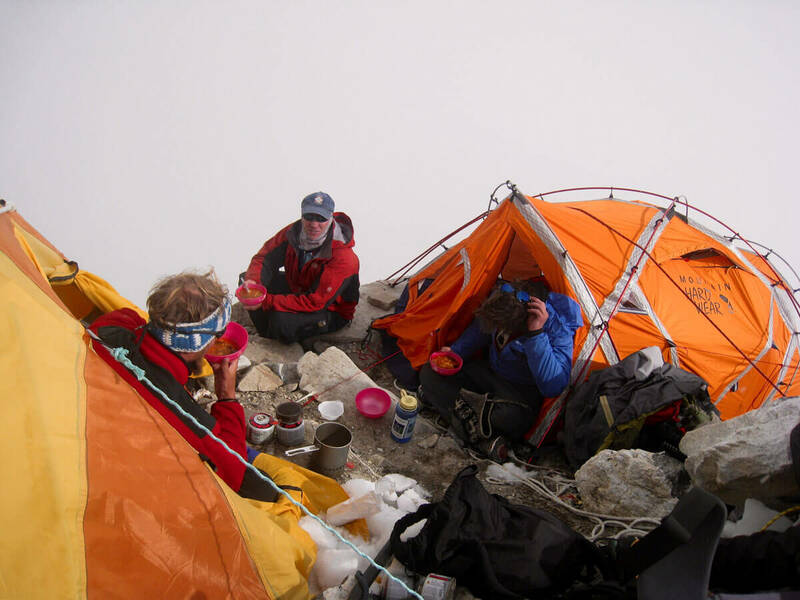 Some climbers choose to bring 2 sets of sleeping bags so that 1 is left at base camp and 1 at a higher camp. This spares you from carrying your sleeping bag constantly up and down the mountain. 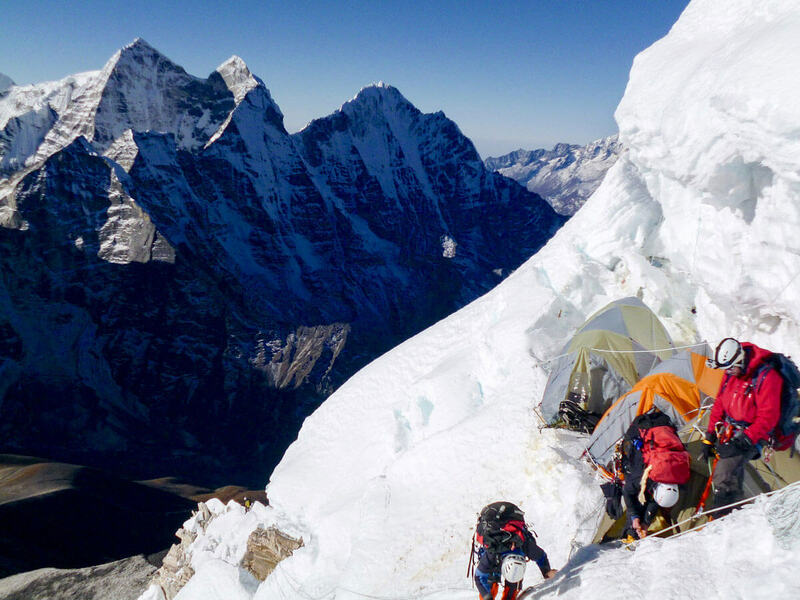 Climbing Sherpas will head up today to set up the camps carrying tents, food and fuel. We follow the ridge route up through the boulder field, over the slab, up the gully and then scramble further to the tent platform, or Camp 1. You’ll be welcomed with a hot drink and will be able to rest in your tent before dinner. This is the first serious day of climbing. It begins with a hike up to 2 finger like rock projections, and a climb up to the ridge proper. 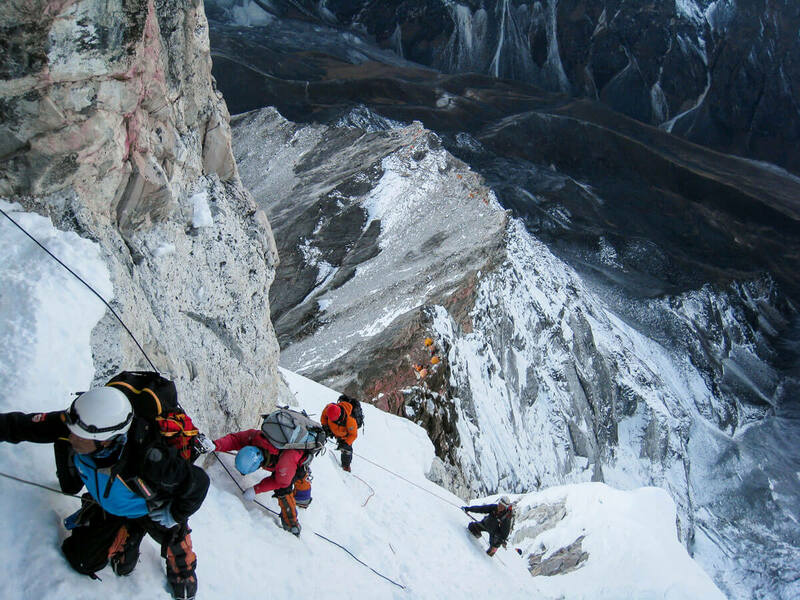 It’s a narrow ridge that leads to an exposed traverse on tension fixed lines. 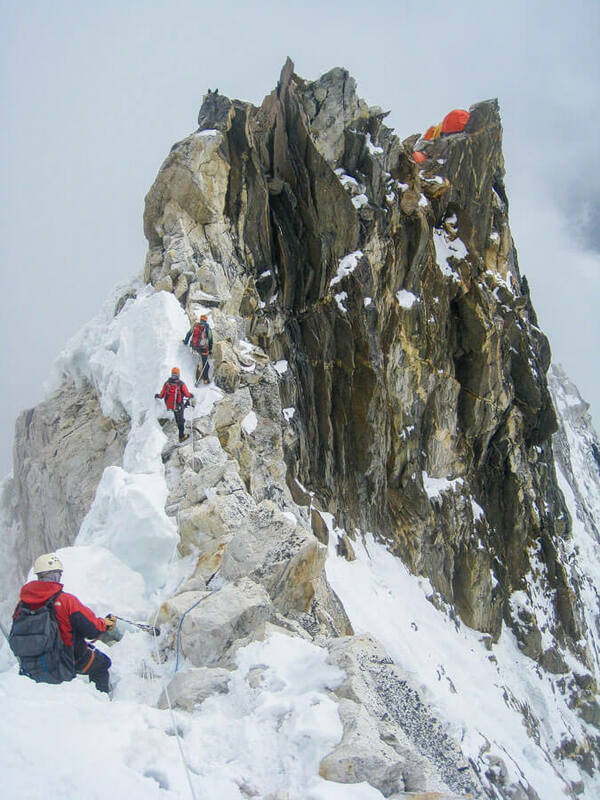 We jumar up to the ridge again and follow this to another face traverse, that takes us to the Yellow Tower. It’s a 15m pitch around AUS 16/US 5.8/5b standard to our camp. 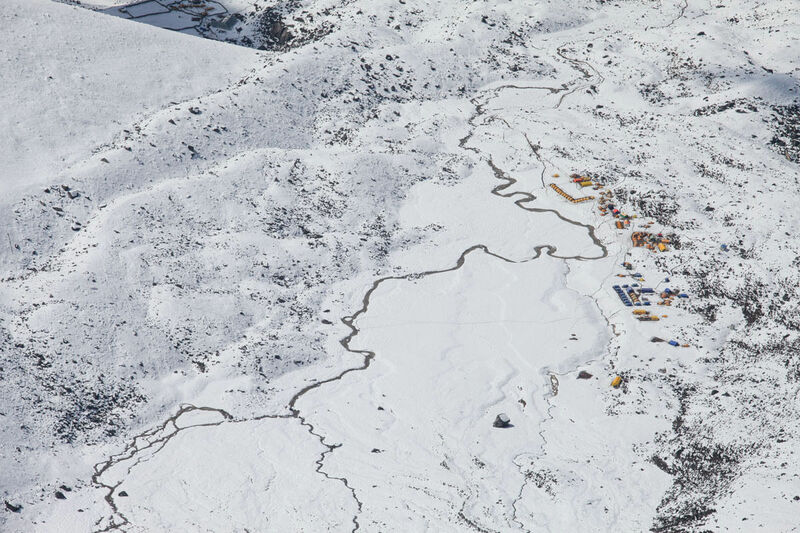 Camp 2 is an infamous site known for its precarious location with 360o degrees of surrounding exposure. Once we’ve touched this site we drop back down to base camp. With our full rotation now complete and familarity of the route and its challenges established, we rest and wait for our summit push. This is time to rest and eat! We plan an extra contingency day for weather. The final summit push! We follow the now familar route up to Camp 1. We continue on up now to Camp 2. Get a good rest and sleep. The next 2 days will be challenging and rewarding! 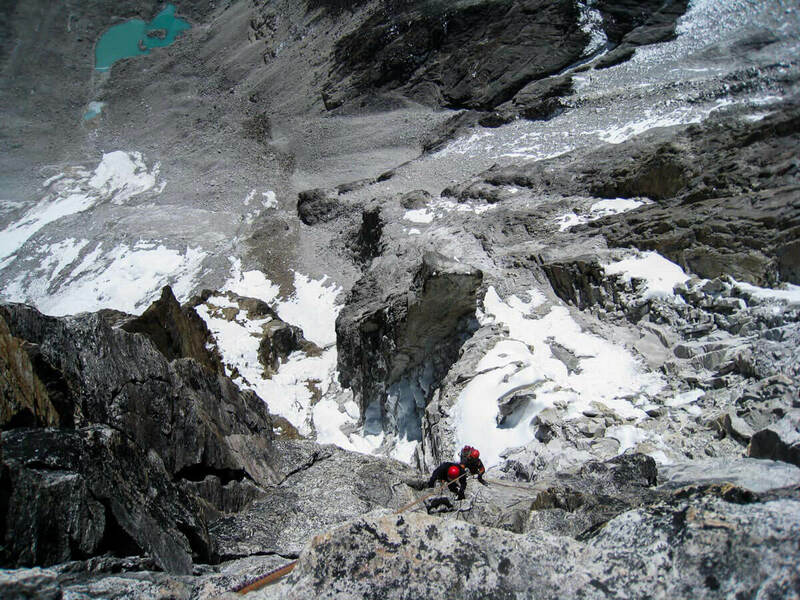 The climb from Camp 2 to Camp 3 is considered to be the most difficult of the entire route. We begin by dropping briefly, traverse eastwards and then ascend to the base of the Grey Tower. 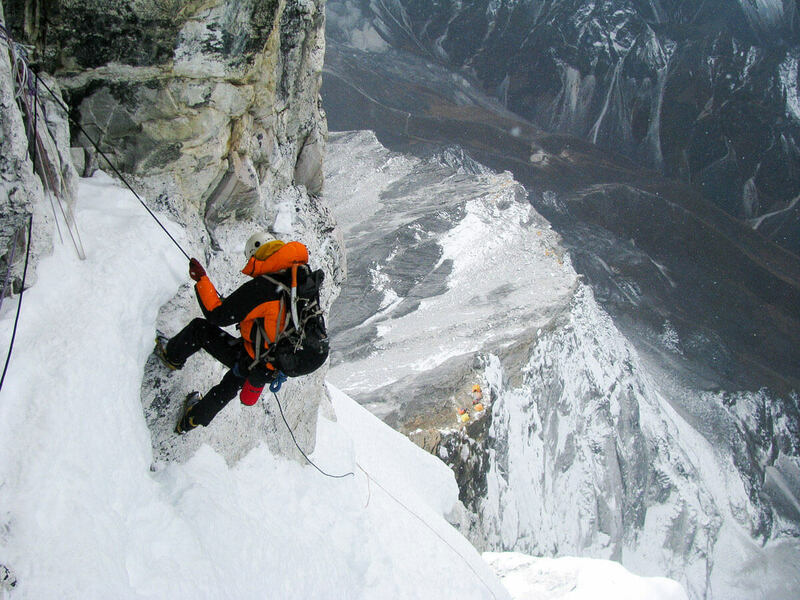 We climb up alongside the Grey Tower using a steep rock gully that’s approximately an 80m ascent over pitches. Watch for rock fall here especially if there are other parties over head. We cross an exposed traverse that brings us to the West side of a large snow ridge (Mushroom ridge). From here it’s a climb up on this steep and narrow ridge to Camp 3. Our summit push! We climb up the steep snow/ice slope behind Camp 3 and move towards the right side of the face to a small snow field. We cross a Bergschrund and climb up to an ice crest. This follows the summit ridge route to the large glorious snowfield summit top! 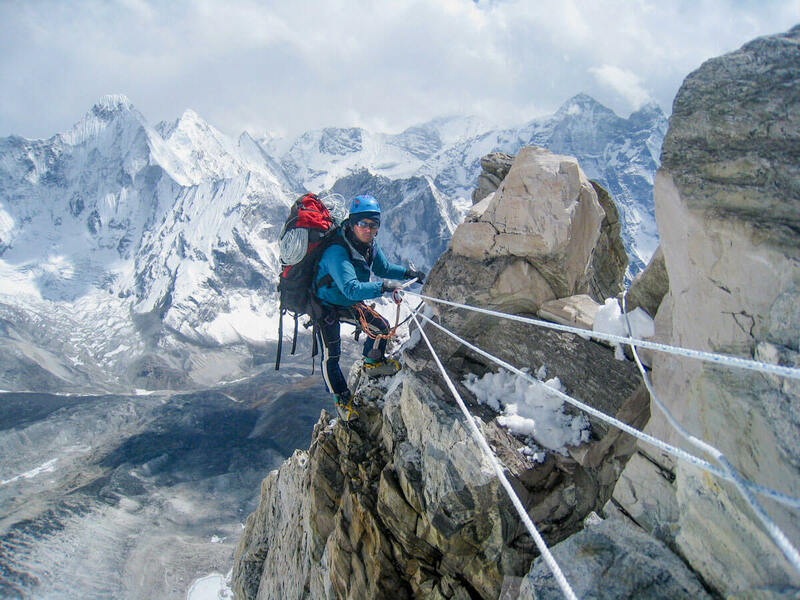 The central position of Ama dablam affords stunning views of Khumbu peaks and beyond from its summit. 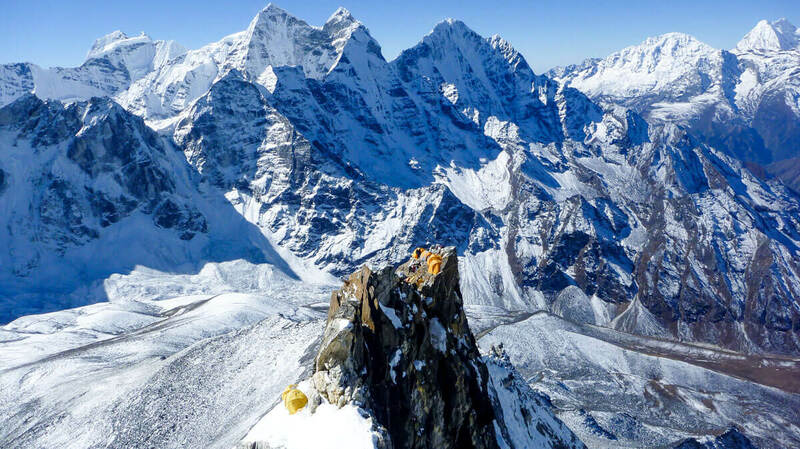 From the summit, you see the summit of Island Peak just below you, and unobstructed views of Everest and Lhotse. Further a field in other valleys, Cho Oyu and Malakhu can also be seen. 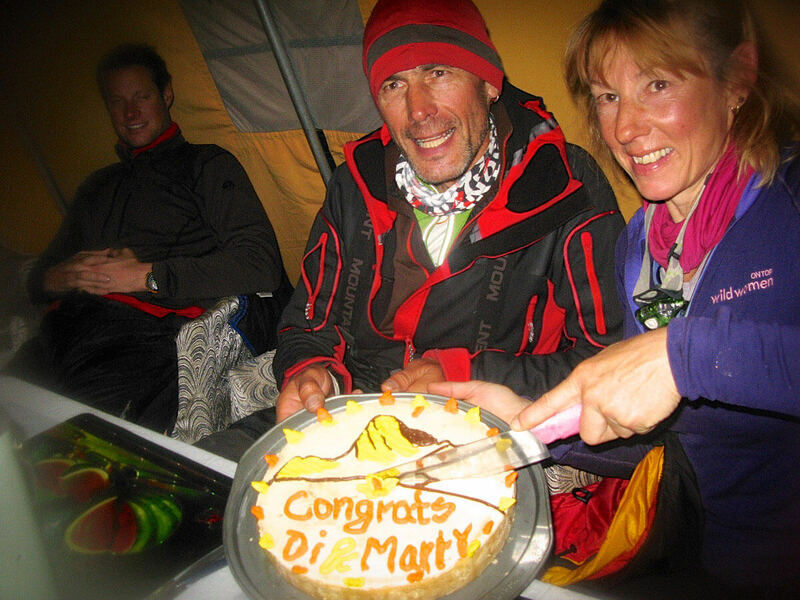 After a period of celebration on the summit, we climb and abseil down to Camp 3. Pack up camp and head to Camp 2 for the night. A well deserved rest awaits. After a quick breakfast, we pack up Camp 2 and return to base camp. Showers and good food are waiting to welcome you “home” from your summit success. It’s been an exhausting last few days so we take an extra day to rest and slowly begin to pack up base camp. Enjoy your last day soaking in the views from this tranquil camp site. We hike down the ridge to Pangboche, and then follow the main traffic of hikers back to Namche. Back in town, you can send emails to family and friends about your summit news, and enjoy good coffee and bakery treats. This is our last day on the trail. 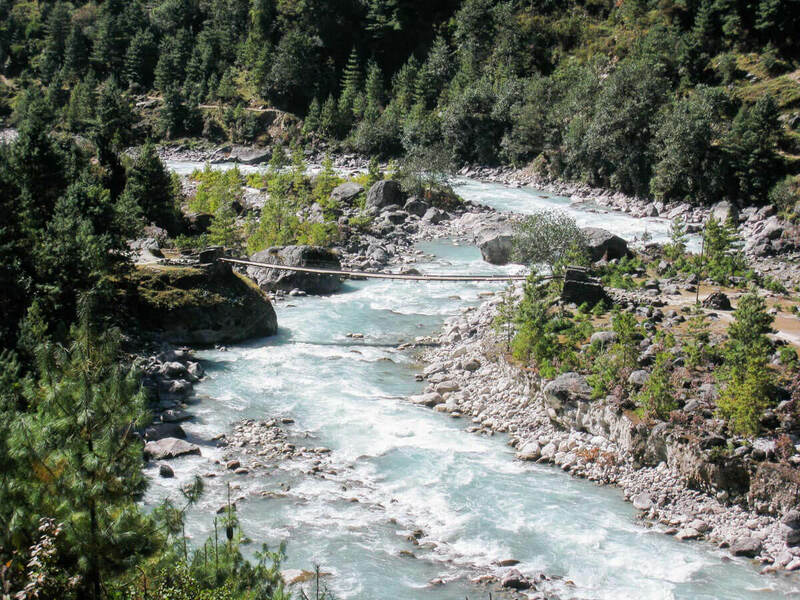 The route from Namche drops back down to the valley floor and follows the river towards Lukla. Take in the beautifully decorated maniwalls and prayer wheels lining the trail to Lukla. After living in Sherpaland for the last few weeks, we arrive back in the melting pot of cultures that is Kathmandu. Spend this day, doing last minute sighting and shopping. 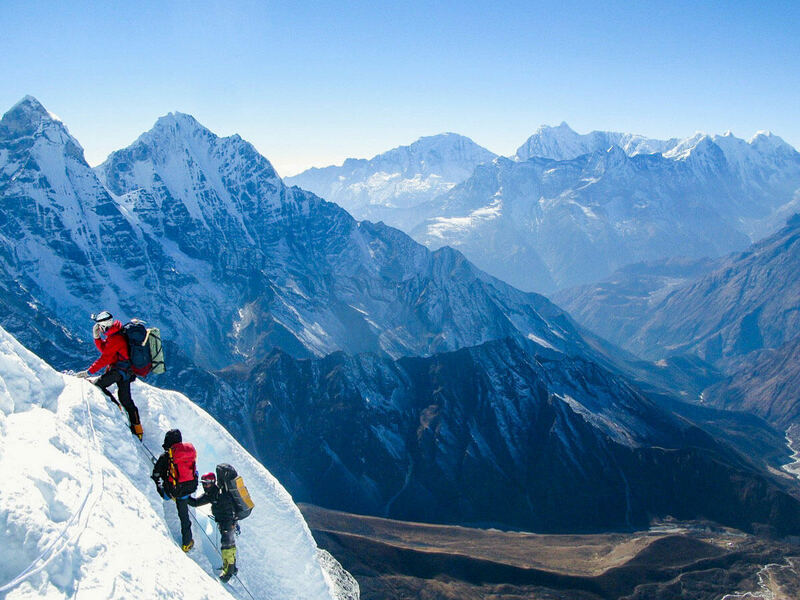 Today is your last day in Nepal so prepare for departure, packing and returning gear. A massage is highly recommend to relax your tired muscles before your long haul flight home. We farewell the Himalayas and people of Nepal until your next Himalayan adventure. travel insurance (incl. early departure, mountain rescue) and personal trekking/climbing gear.